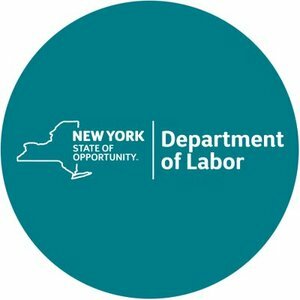 The Joint Apprenticeship and Training Committee for Laborers, Local #17, will conduct a recruitment from February 4, 2019 through February 15, 2019 for 12 skilled construction craft laborer apprentices, the New York State Department of Labor announced today. Applications can be obtained at Local Union #17, 451-C Little Britain Road, Newburgh, NY, Monday through Friday from 4:30 p.m. to 6:30 p.m. during the recruitment period. Applications will be available and accepted for 10 business days, or until 100 applications have been issued, whichever comes first. Applications must be filled out on premises. Must have a high school diploma or high school equivalency diploma (such as TASC or GED). Must have reliable transportation to and from work and related instruction. Lifting and carrying 10 94-pound sacks 25 feet, and restacking to a height of approximately 54 inches. Mixing two bags of mortar, transferring it into buckets, and lifting buckets to a mason on a scaffold. Using a shovel to load a wheelbarrow with backfill material, pushing it 30 feet, and depositing the material into a 15-foot-long trench. Compacting soil using a vibratory compaction machine (jumping jack); backfilling soil six inches and re-tamping three times; backfilling another six inches and re-tamping three more times. Performing material handling tasks on a 10-foot scaffold. Removing blocks off of a forklift and restacking. Performing a routine inspection inside a mock confined space (find the hidden object). Breaking up a 5’x 10’ slab of concrete (with wire) using a 90-pound pavement breaker; cleaning up the pieces and disposing into a container. Loading bricks onto a wheelbarrow, navigating through an obstacle course, and unloading. Note: this task will be done in teams of two and will be timed individually. Walking on a treadmill for 1 mile at a speed of 3.2 mph. For further information, applicants should contact their nearest New York State Department of Labor office or may contact Local Union #17 at (845) 562-1121.